The model C812S Steel Squeeze Off Tool is designed to squeeze 8″ to 12″ schedule 40 & 80 pipes safely and effectively. The C812S features a Bottom swing out bars with positive safety latch. 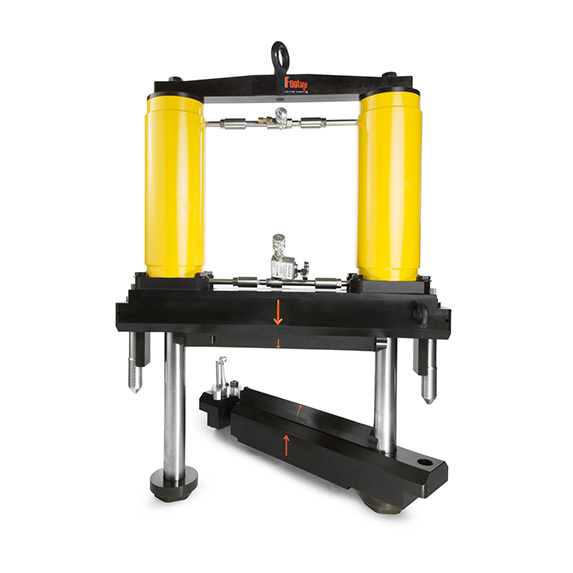 Dual-acting hydraulic cylinders for the more compact profile. Air over hydraulic pump kit. c/w Needle Valve, Pressure Gauge, Filter Regulator Lubricator and 20′ Hoses.